As I stood staring out at the blue of Deep Creek Lake, cold wind ripping at my exposed flesh, water lapping aggressively against the shore, I heard the voice of the depths. It whispered to me its secrets; long untold tales of souls lost to its icy waves, ancient mysteries that lay in the murk and darkness of the lake bed. The voice echoed infinitely in my ears, like each individual drop was telling me the story of its journey to the clouds and suicidal plunge back to the Earth. For that brief moment I knew nature, and it knew me. I was at peace, and knew zen. Either that, or I had been drinking. Heavily. I was in fact standing on the lake shore; I nearly fell in twenty different times. The wind did indeed rip at my exposed flesh; I had forgotten my coat and decided wearing two hoodies was just as good. And I really did think I heard the voice of the lake, but in retrospect, it could have been the fizzy-popping of the Harpoon White Unfiltered Offering (UFO) in my hand. I love Harpoon Brewery. 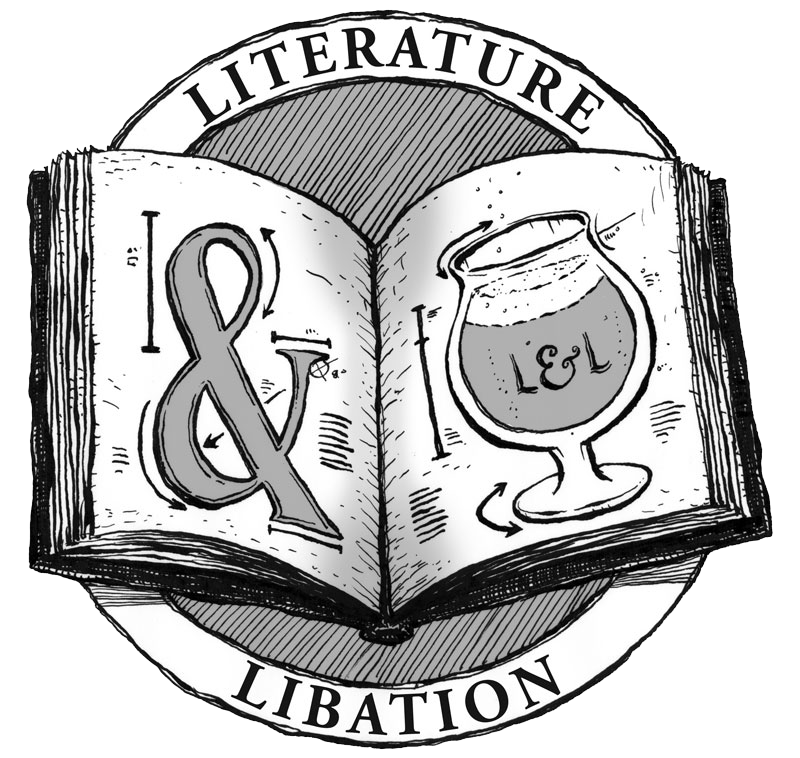 There is no other way to describe my attraction and relationship to their beers. They are cute a giggly, charming and warm. I’m pretty sure it is illegal to date a beer (or brewery) otherwise, I may have tried by now. While Harpoon IPA (heart) is the flagship of this Boston-based brewing company, their UFO line (available in White, Raspberry, Pale Ale, and Hefeweizen) is something special. While I usually avoid wheat beers in an attempt to avoid yeast-related illness (my uvula tends to get all ornery when exposed to too much yeast) these are the exception. I tried the Raspberry variety first and I was hooked. The idea of adding fruit to beer is arguably the single greatest anthropological advance in human history. UFO White is a Belgian White style, unfiltered, sour, and thirst quenching. 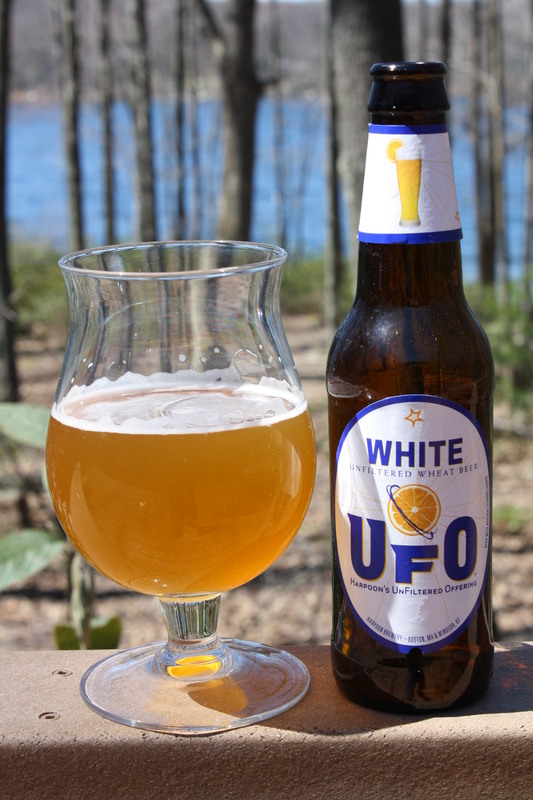 Other popular Belgian whites (namely Blue Moon) rely heavily on orange alone to add a citrus burst to their beer, but UFO White doesn’t. It adds lemon, creating and incredibly potent cirtusy beer that will probably meet or exceed your vitamin C intake for the day. It pours with almost no lasting head, but leaves a pretty lacing of white across the top of orange-yellow body. It’s a particularly noisy beer; fizzing aggressively with little bubbles jumping wildly, trying to escape the glass. This is a great conversation beer, as you can drink it as casually as a glass of orange juice. If you drink enough of it, you could probably even talk to things that can’t normally talk. Like lakes. This picture makes it look warm outside. It was not warm outside. Next up: Brooklyn East India Pale Ale! Hah, this one had me chuckling quite a bit. Good write-up!